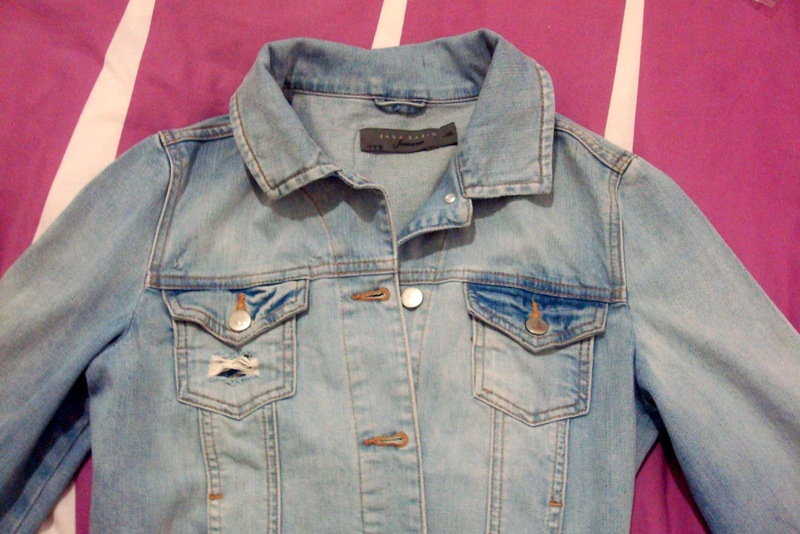 A mulher e a moda: DIY | My projects . .
DIY | My projects . .
what i show you here are a few more DIY projects that i made today.I apllied the studs that i bought on ebay and this was the result! 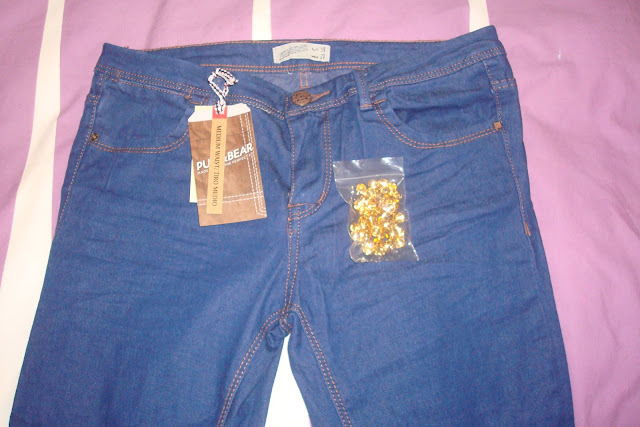 I received the jeans that i ordered come from pull & bear and, as you see, i applied at the pockets, golden studs. 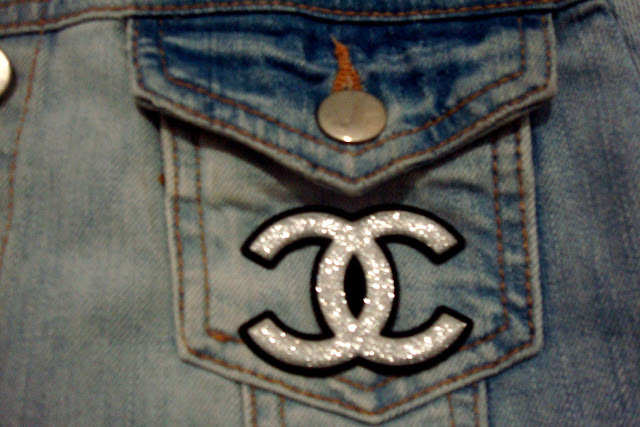 The denim jacket has a few years old and as i didn´t give him much use, i decided to give it more life with the symbol of the channel (i used white glue to paste) and with silver studs on the shoulder area. The clutch have the same gold studs that i apllied in jeans.What do you think? What is your favorite DIY project? 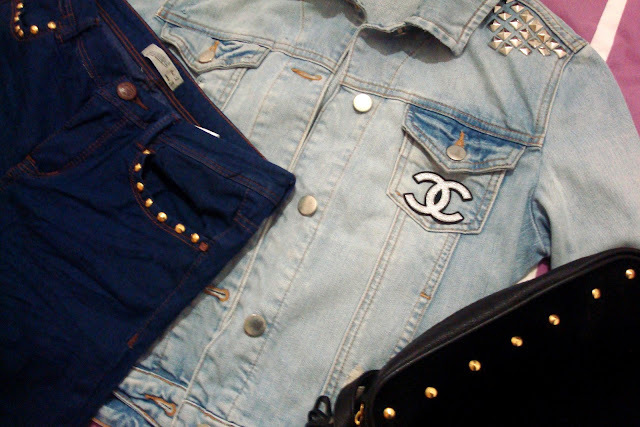 The jeans, the clutch or jacket? aqui fica mais uns projectos DIY que decidi fazer hoje.Apliquei as tachas que comprei no ebay e este foi o resultado! 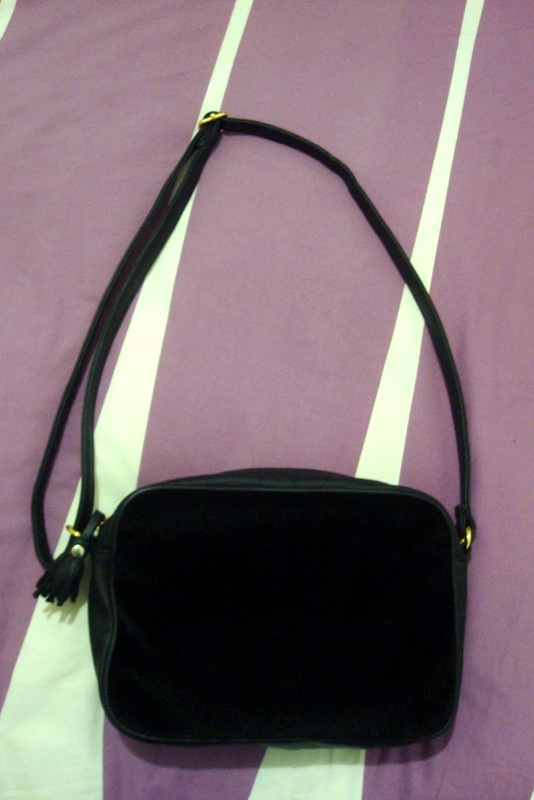 Recebi hoje as jeans que mandei vir da pull&bear e apliquei na parte dos bolsos da frente,tachas douradas. O casaco de ganga já tem uns aninhos e como já não lhe dava muito uso, decidi dar-lhe vida com o símbolo da channel (usei cola branca para colar) e com umas tachas prateadas na zona dos ombros. Em relação à mala, apliquei as mesmas tachas douradas que apliquei nas jeans. O que acham?Qual é o vosso projecto DIY preferido? As calças, a mala ou o casaco? Ahhh, these are so great! 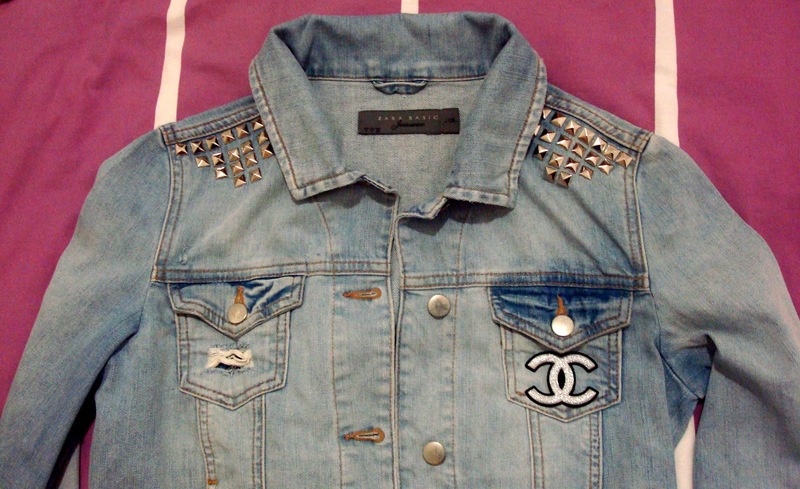 I especially love what you did with the jacket, so cool. Que talentosa,conseguiste mesmo dar um Up em todas as peças!!! oryginal post, I like it ! Thanks U very much dear, I follow U back - of course ! Super! Love all of it! I like this post so much: these DIY are wonderful! Fantastic job on your DIY projects! 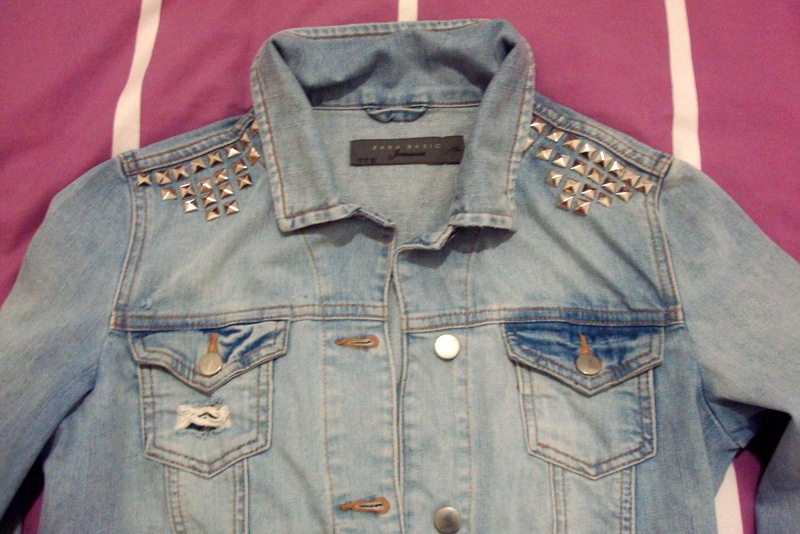 The studs added a trendy edge to them!